Now open in Dulwich Hill, My Back Relief Clinic is on a mission to take down back and neck pain. Sydney, 13.3.18 – My Back Relief Clinic, an evidence based chiropractic clinic, has opened its doors to new patients in Dulwich Hill, Sydney. The chiropractic clinic is now officially open and is located at Suite B, 390 New Canterbury Road, Dulwich Hill. 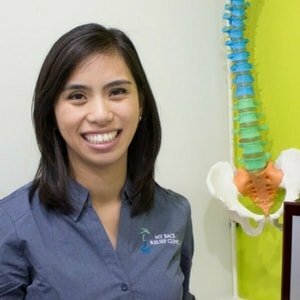 My Back Relief Clinic, run by Doctor Paula Basilio (Chiropractor) who is also an Associate Supervisor at the Macquarie University Chiropractic Clinic, combines the latest chiropractic research with a patient-centric approach to pain management and health. This is also offered in an affordable and accessible way, available to all. This approach aims to address chronic pain conditions as early as possible and may reduce the likelihood of seemingly innocent aches and pain from developing into life changing chronic health conditions at a later point in life. With up to 80% of the community experiencing lower pain and now with the Global Burden of Disease 2010 study reporting that “lower back pain causes more global disability than any other condition,” My Back Relief Clinic is well placed to offer assistance. “We know that lower back pain causes more global disability than any other condition and with an aging population, we need to be doing more as a community to address this problem” comments Dr. Paula (Chiropractor). In differentiating her clinic from many others, Dr. Paula (Chiropractor) uses a combined approach that integrates extra appropriate orthopedic and chiropractic testing. “I use this extra information to let my patients know if their health challenge can be helped by chiropractic care, or not. If not, I’m happy to refer patients to the appropriate health provider in that case,” says Dr. Paula (Chiropractor). My Back Relief Clinic’s pricing for single visits is less than the city average, making chiropractic care affordable and accessible. A standard chiropractic adjustment is priced at $60. 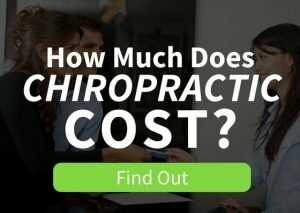 View affordable chiropractic prices here. Patients can visit My Back Relief Clinic in Dulwich Hill six days a week Monday through to Saturday.